Think "On Golden Pond" but on saltwater, with a dock, a boat ramp & a guesthouse! The main house was built in 1915 & offers a HUGE view of Pickering Passage and the Islands. Big open living area with stone fireplace keeps everyone part of the conversation. Master bedroom with clawfoot tub on the main level & the whole upper level is a sleeping floor. The guesthouse would make a great VRBO option or a place for a caretaker to stay. 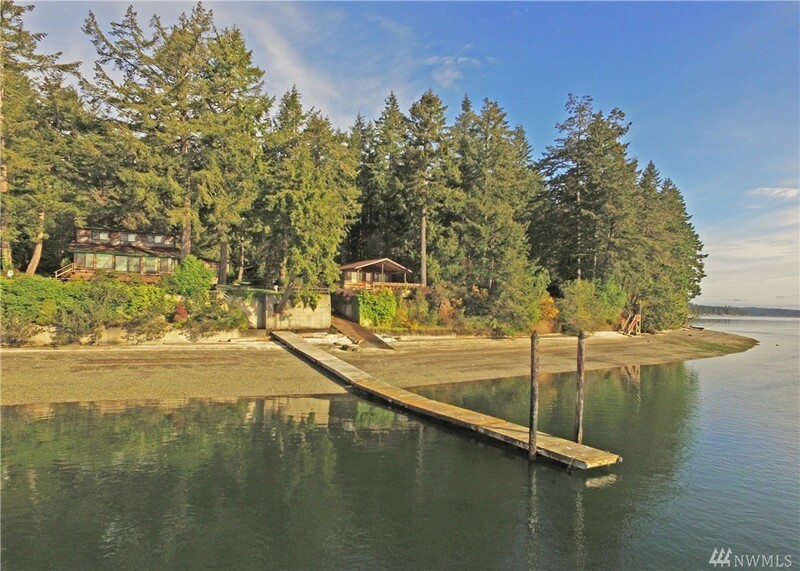 233' of perfect beach, an evergreen forest & lots of privacy! Selling Office: Virgil Adams Real Estate, Inc.